Why and how you should protect your business from counterfeit notes. Although counterfeits in Australia have been kept relatively low in comparison to other countries, they are becoming increasingly frequent and hard to detect, even for expert eyes. With an average of 15 counterfeits per million banknotes in 2014, recent Government figures show that in 2014-15 the police removed from circulation more than 33,000 fake $50 notes, tripling the number expected for that year. It has been noted that the number of notes reported and seized by the police is likely to be just a portion of the total of counterfeits in circulation, which raises further concern. Cheaper imaging and printing technology combined with access to fake polymer substrate on the black market enable counterfeiters to produce large runs of high-quality fake bills capable of fooling careful cashiers, business owners, and even forgery detection systems used at banks. In fact, the real issue with counterfeit notes is that before being detected and passed on to the authorities, a bogus $50 will be passed on an average of 8 times, usually ending up in the hands of unsuspecting customers whom will not be reimbursed for their lost value. Criminals target cash-dependent businesses such as pubs, restaurants, and market traders to spend the bills, which aren't often detected until deposited at a bank. “We find that taxis, fast food, and convenience stores have also been targeted over the last few months. They are businesses where cash still plays a predominant role, transactions are very quick and, because of that, counterfeit detection is often overlooked”, comments Adam Noyce, Sales Executive for NSW at SprintQuip. 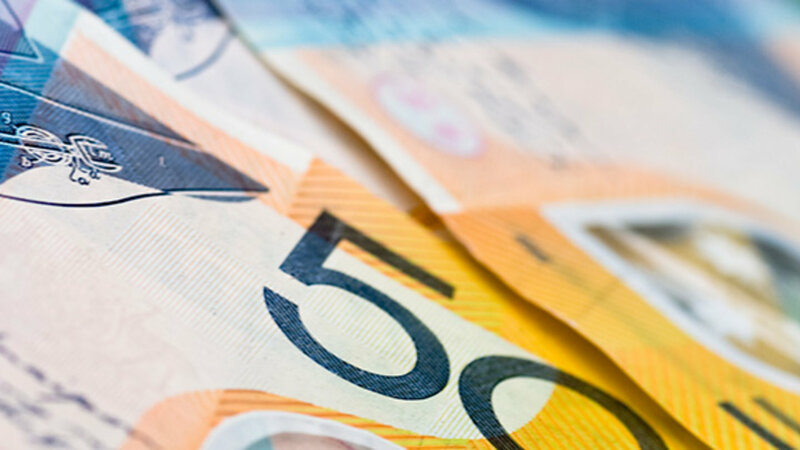 The RBA is responding to the rise of counterfeits by releasing the new series of Next Generation banknotes with additional security features that are bound to make counterfeiting highly difficult and costly. Similar to previous releases, though, the transition to the new series of banknotes will be staged across a number of years, starting with the release of the $5 note on the 1st of September 2016, followed by the $10, the $20, the $50 and the $100. This means that new, harder to counterfeit $50 notes, which are said to account for 90% of the counterfeits in the market, will only be released in a matter of years. “Customers across our sectors will need to stay wise and well equipped until the new $50s have arrived, and even before that, when it is likely that counterfeiters will try to get rid of everything they have. Every business should be equipped in some way to prevent being paid in counterfeit notes. With a simple device like the Verus™ H or a Dors50 , customers will be 100% positive they’re only taking in real money”, says Ivan Kokotovic, Sales Executive with over 10 years experience in the NSW gaming and retail market. It is an offence to knowingly possess and circulate counterfeit banknotes, and if you are handed a banknote that you may believe suspect you can refuse to accept it. If the banknote is authentic, its value will be refunded to you. If the banknote turns out to be a counterfeit, unfortunately, no refund is given. Then how can a business protect themselves from the threat of counterfeit banknotes? The answer is: by checking each note, possibly for each transaction. The RBA provides a complete counterfeit detection guide on their website, listing all the security features that should be checked when verifying the authenticity of banknotes. Looking at the note under a UV light is a commonly used technique to spot counterfeits quickly and effectively. In fact, authentic banknotes only show signs of fluorescence on the serial numbers and patches showing the value of the denomination on the $5, $20, $50 and $100 banknotes, features that counterfeiters find hard to reproduce. The UV light makes the serial numbers and patches glow, confirming the authenticity of the banknote immediately. This is why UV light counterfeit detectors like the Dors50 are widely used in fast foods, convenience stores, retailers and gaming venues. However, the effectiveness of a UV light detector depends on the speed of the transaction, the operator's expertise in spotting signs of fluorescence at first glance and, of course, lighting conditions around the device. In order to provide a suitable solution for businesses where payments are made on the go, quickly and in varied lighting conditions like taxis, restaurants, cafes etc, we have broadened our counterfeit detection range to include the Verus™ H, a pocket-size handheld device that reads the unique optical and physical characteristics of the actual core substrate of polymer banknotes, providing immediate auditory and visual feedback on whether the substrate, and hence the banknote, is authentic or not. At SprintQuip, we strive to provide our customers with the best solutions available in the market. To know more about our range of counterfeit detectors, or banknote processors with counterfeit detection features, give us a call on 1800 500 994, or email sales@sprintquip.com.au. SprintQuip. Australia's cash handling specialists.